ZeKK means "Centre of Comparative Theology and Cultural Studies". It was founded in November 2009 as a new interdisciplinary research center at the University of Paderborn. It´s basic idea is the collaboration of different theologies and other disciplines within the humanities in a research group, which enrich each other mutually in discourse as equal partners through their different perspectives, experiences and methods. Comparative Theology pursues the goal of developing confessional theology in dialogue with other religions and their theologies. In this case, this theology does not choose a neutral approach to religion but takes new paths. The encounter and the scientific dialogue between the religions are carried out from their respective internal perspectives in order to develop one's own religious and theological standpoint further. In the English-speaking world, this new scientific discipline has been approved for a long period of time. 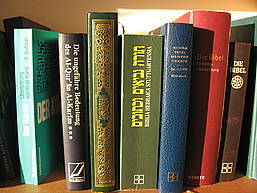 ZeKK aims at establishing the perspective of Comparative Theology in dialogue with further disciplines within the humanities in the German-speaking world as well. 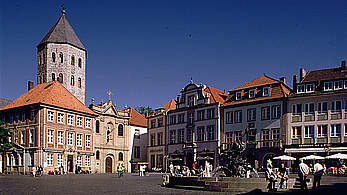 Since the Reformation, Paderborn is part of the centers of ecumenical examination. In this tradition, it is also a main concern of the two Christian theologies that in a common ecumentical approach, they interact and go into dialogue with other religions. The conservative and local image of the city can help to reduce fear and inhibition towards foreign religions in our society. Thus, ZeKK is a good example of the fact that Paderborn is increasingly developing into a colorful and cosmopolitan city, which is convincing by its inner diversity and its openness towards new developments.